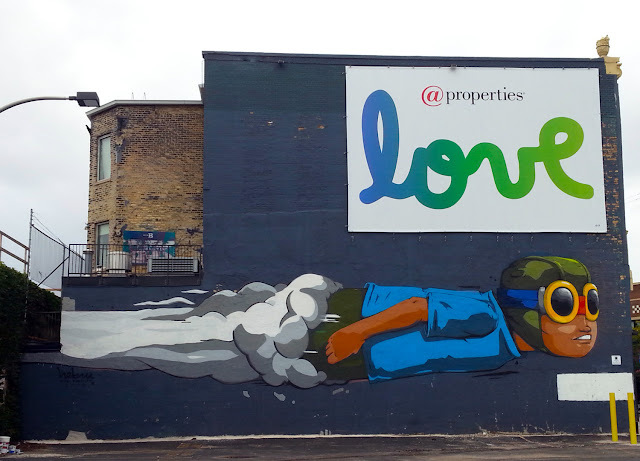 The signature went on it, so the Flyboy mural on the side of the Uptown Broadway Building is done. It's interesting to see a 1920s Spanish baroque building with a 2015 street-art inspired mural on the side -- Uptown's Roaring 20s past on the front of the building, and one of today's rising stars literally just around the corner. 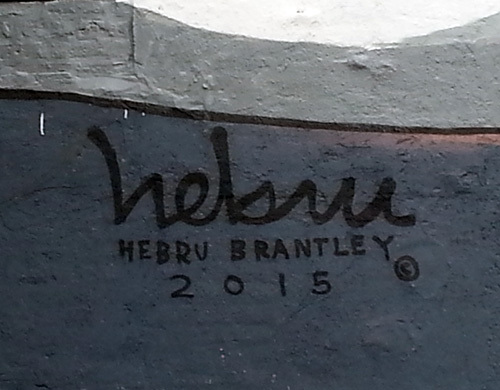 Thank you, @properties, for bringing Hebru Brantley to Uptown. Any plans to somehow protect it from being defaced by the taggers?